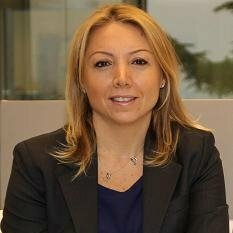 Aylin Alkan is a partner in Symrna capital LTD in the UK, London. She has an extensive experience in finance sector for 22 years, especially in financial markets, fund and wealth management. She worked in a multinational bank for 15 years in Turkey as the director of business development and sales animation of wealth management. She founded Investor Society and was the first banker to work with government officials and implemented angel investment concept in Turkish banking sector. Consequently her bank (BNP Paribas/TEB) has been nominated as the first bank accredited as an ‘Angel Investment Network’ in the world and was awarded by various ecosystem players such as Istanbul stock exchange, Startup Turkey and EBAN (European Business Angels Network) . With a strong relationship with local and global startups, bootcamps and accelerators, Aylin founded the first super angel group within a bank and led a workgroup to launch the first ‘business angels co-investment fund’ in Turkey. Aylin is a frequent speaker and a mentor in various startup and angel investment meetings and events . She is an accredited angel investor herself and a member of TEB ‘angel investor society’ together with other super angels. Aylin lives in London and she has two children.